Welcome to EQMM! Featuring the world’s most celebrated crime writers alongside brilliant new voices. 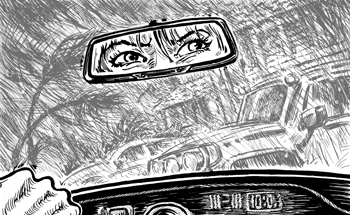 Cutting-edge content includes suspense thrillers, whodunits, and noir, reviews, and an editor’s blog. Join us … if you dare! Edgar, Agatha, Barry, Derringer, Arthur Ellis, Robert L. Fish, Macavity, Shamus, Thriller, Anthony, and more. 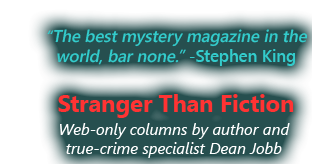 Welcome to Ellery Queen’s Mystery Magazine. My editorship of EQMM began in the summer of 1991 following a call from then editor Eleanor Sullivan, who was helping in the search for her successor. I was mystery-fiction editor at Walker & Company at the time, and had charge of a series of anthologies of EQMM stories. The connection would provide an entrée to a whole new world of publishing. 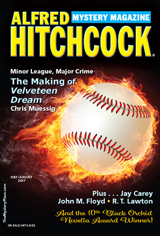 Launched in 1941, Ellery Queen’s Mystery Magazine set the standard for the modern crime and mystery short story. 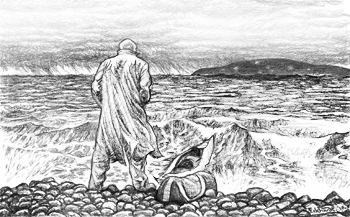 EQMM offers outstanding literary quality, an expansive reach across the whole range of mystery and crime fiction, and a global orientation in its story selection. 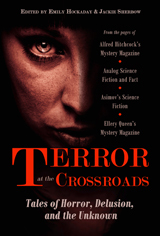 Meet Ellery Queen's Mystery Magazine’s authors! In addition to discovering an impressive Who's Who of internationally renowned writers, you'll learn about authors in the current issue, read what they have to say at the EQMM blog, and more. Visit often—there's always something new! 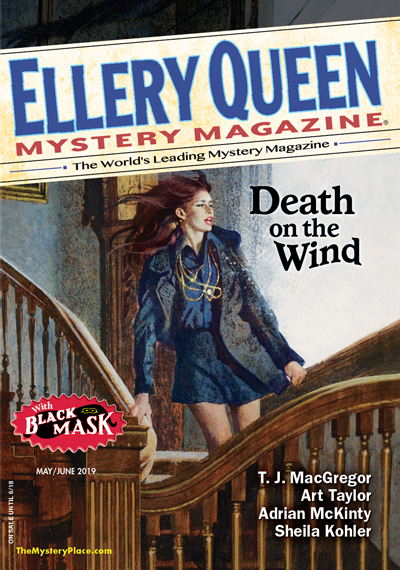 In EQMM’s May/June 2019 issue, sunny shores contain dark secrets, as in Edgar Award nominated Art Taylor’s “Better Days” and the edge-of-your-seat ride “Hurricane Jonah” by T.J. MacGregor. Speaking of sunshine, join Pat Black’s policemen on a bittersweet day, “The First Day of the School Holidays”—and a private investigator in Mark Stevens’s “A Bitter Thing,” a story taking place in the world of hit rock musicians. Get the latest news, enjoy stories only available here, check out Editor Janet Hutchings’ blog, enjoy engaging podcasts, view the photo gallery of EQMM personalities. Check it out.